This project was a collaboration between GAJ and Hopkins Architects. 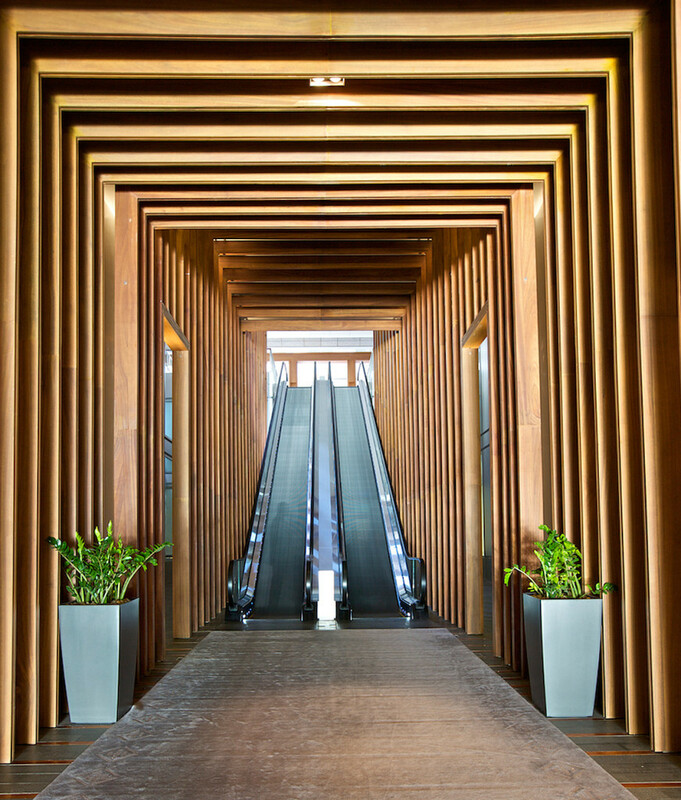 Hopkins undertook the initial concept design with GAJ then working closely with them to develop the approved concept and then supervise its construction on site. The project was constructed within tight budgetary constraints and was completed on time and to budget. 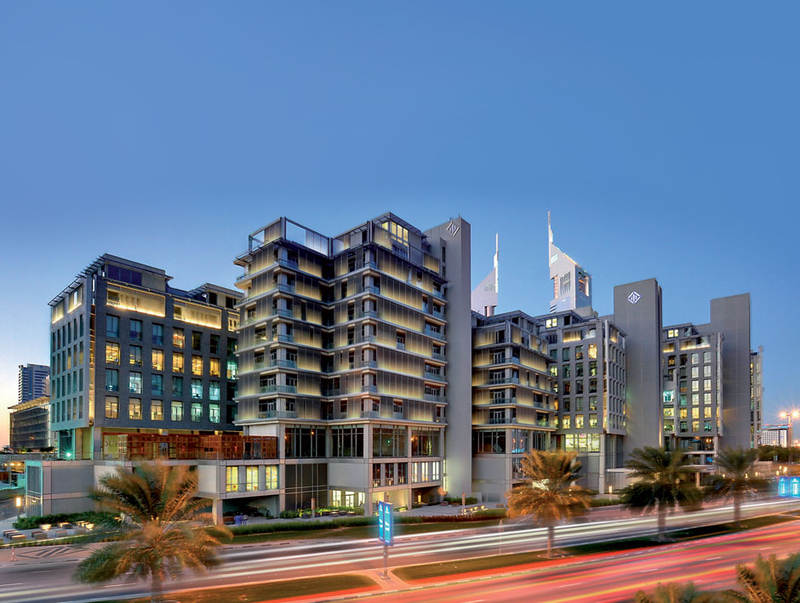 The Gate Village is a 90,000sqm complex of ten mid-rise buildings ranging from five to ten storeys located in Dubai International Financial Centre (DIFC). 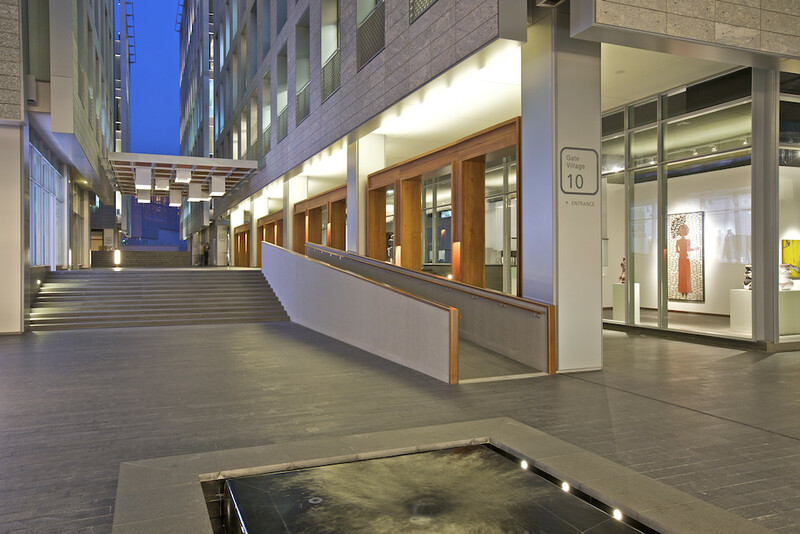 Each of the granite-clad office buildings is unique in both plan form and height which in turn creates a strong and engaging urban setting of shaded streets and courtyards. 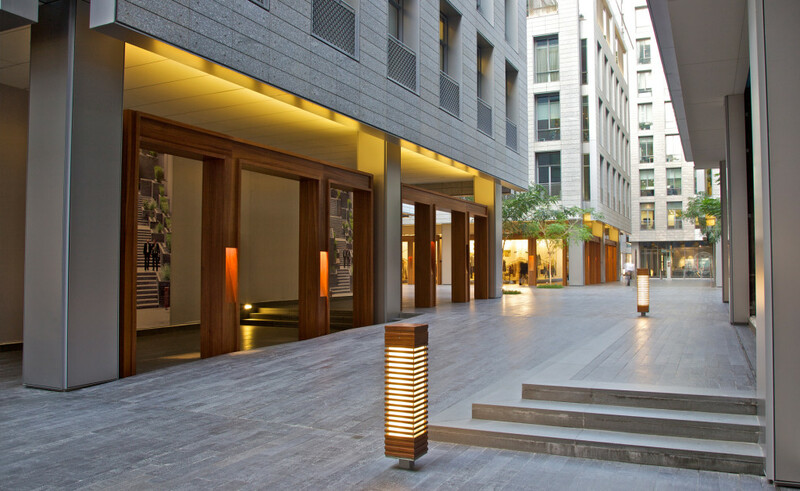 This simple passive approach to dealing with the hot climatic conditions allows the buildings to be connected by an external podium that supports a mixture of retail spaces, galleries and restaurants. *in association with Hopkins Architects. 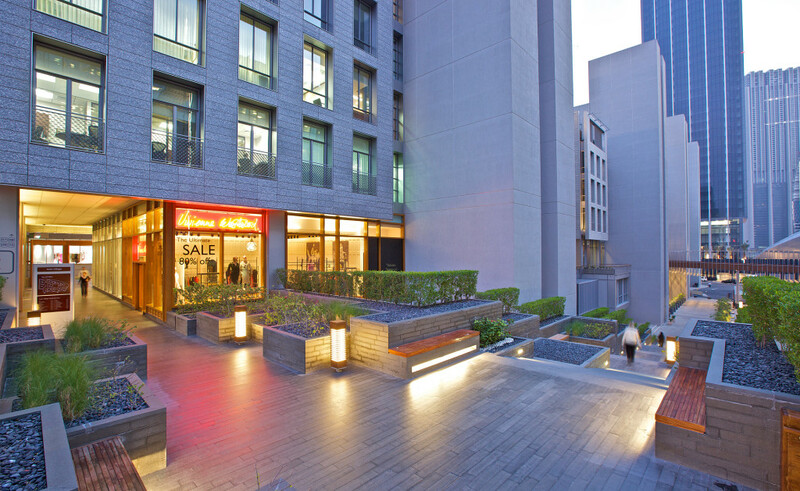 Each building was designed on a versatile 9x9m planning grid and has an optimum floor plate of circa 1,500sqm per floor with a central core connecting to five levels of basement parking. The car parking is enclosed by perimeter live/work studios providing an engaging and interesting street frontage. The height and mass of the buildings is designed to shade the podium streets naturally, as in traditional Arab villages, tempering the harsh climate. The pedestrian streets vary in width and length and open onto larger piazzas. The use of shop canopies gives a human scale. 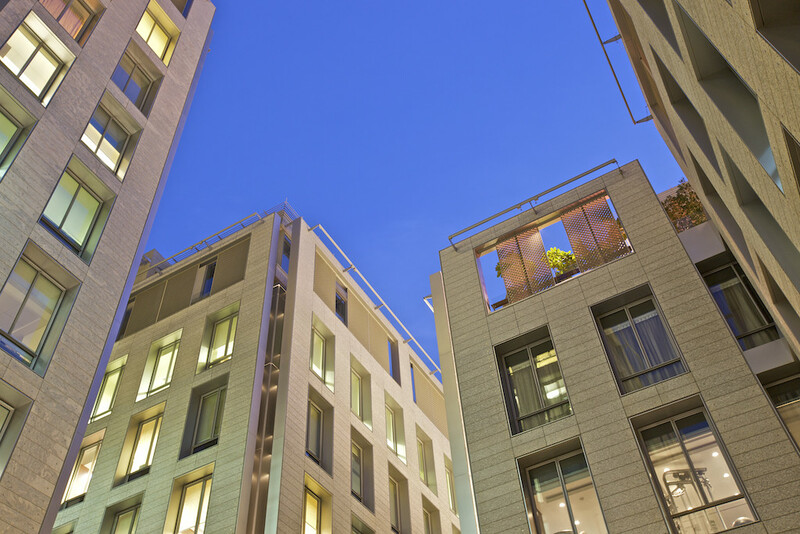 Natural stone is used throughout on the facades with differing texture and treatment according to their orientation. Deep window reveals shade the glazing, while allowing daylight into the buildings. Other shading devices to the windows have been developed from traditional mashrabiya screens.